I was inspired by a conversation I had with another mom this week to start thinking about our New Year’s Eve plans. Here’s the thing. I love my kids but I prefer to do New Year’s without them sometimes. Still, if we were able to attend some of these awesome New Year’s Eve hotel parties with them it might be a different story. Why Spend New Year’s Eve in a Hotel? One of my favourite splurges is spending New Year’s Eve and New Year’s Day in a hotel. Why? I like to enjoy a cocktail or two and don’t want to have to drive, cab or even consider having my kids on the road. Even with RIDE programs in full swing, its one of those nights of the year you are better off playing it safe than sorry. Plus, hotels tend to have really great New Year’s Day brunches. Win win in my books. We got to spend New Year’s Eve at the Nick Hotel in Orlando, Florida, 3 years ago and its still the best New Year’s we have had as a family. 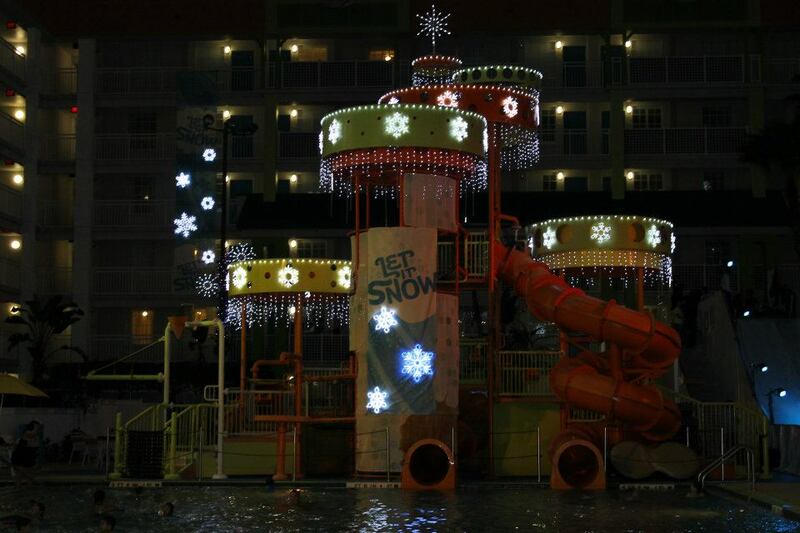 The Nick Hotel does it right by giving kids a winter wonderland in sunny Florida. My kids loved spending time with the characters, hanging in the pool, and playing in the Let It Snow section that overtook the Oasis Pool. Each night, characters and even Santa would stop in while families drank cocoa and sat under the falling “snow” by fire pits. There was a giant slide set up that we all took turns going down. Let it Snow at the Nick Hotel. One of the best things about the Nick Hotel is of course the giant water park and main pool. On New Year’s Eve, kids and adults are entertained by a special pool party at the Lagoon Pool where there are poolside games, seven water slides and a New Year’s mass SLIMING. Our kids were of course very young so we we treated ourselves to a giant plate of desserts and champagne in our family suite instead of staying out too late. I did run out and check on the mass sliming and can attest it looked like a lot of fun. Even Chris got to come along and meet Diego for New Year’s. More info for the Let It Snow New Year’s Event is available here. 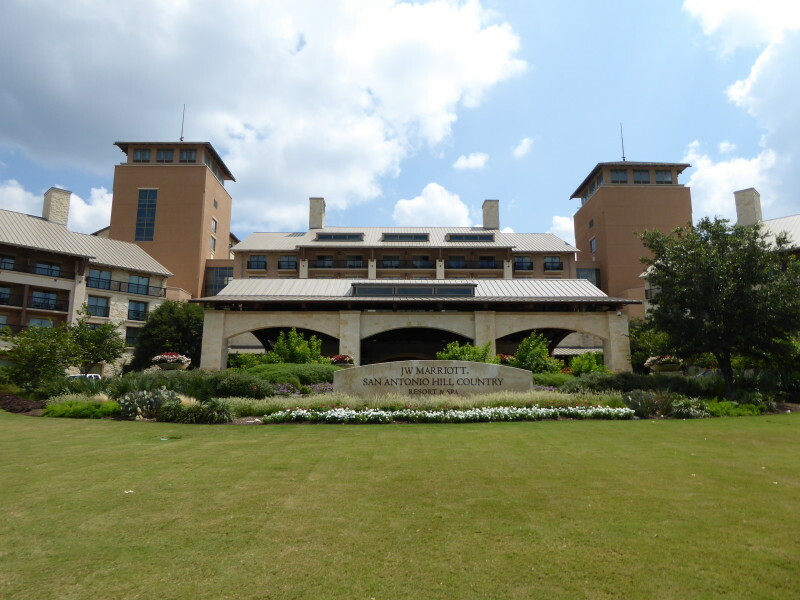 The kids and I visited the JW Marriott San Antonio this summer and its one of my favourite memories. Will taking my hand and asking me to dance is ingrained in my memory and I’m sure I will think of it on his wedding day. The whole vibe of the place is amazing for families and the fact that they throw a great New Year’s Eve make them perfect for this list. The cool part about the JW Marriott is that you can spend the day with your kids but at night there are three separate parties to attend. 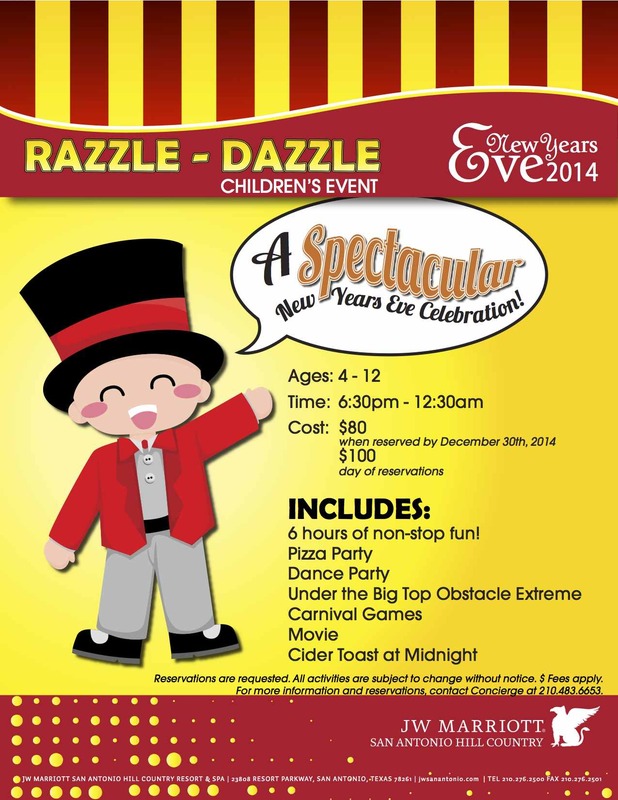 Young kids are invited to experience a New Year’s Eve circus with 6 hours of fun under the Big Top. The Razzle Dazzle party includes pizza, a dance, movies, and carnival games. The kids also get a cider toast at midnight. Teens have their own party with fun interactive non-electronic games. Adults get to spend the evening in one of the resorts three main restaurants and then meet in the main party in the lobby bar, Crooked Branch. More information on the party and pricing is available here. 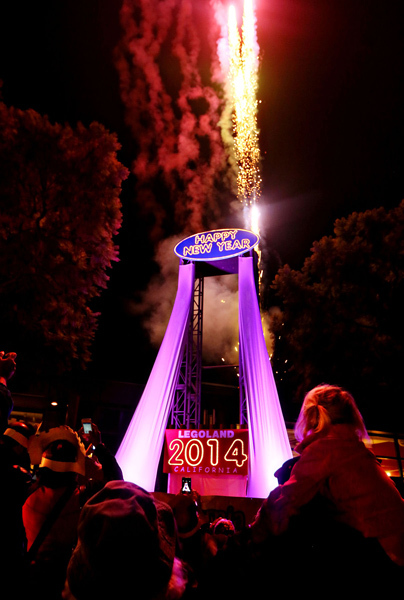 Leave it to the Legoland Hotel to come up with the ultimate New Year’s Eve for families in California. Although the hotel and park are certainly fun enough for kids of any age and Lego loving adults, the New Year’s Eve party steps it up a notch. The park is open from 9 am to 7 pm giving kids the chance to meet Lego celebrities Emmet and WildStyle. Live entertainment takes place all day with tons of Lego characters and even Lego Santa onsite. The great thing about this party is that midnight actually happens at 6 pm for young kids. Legoland is recreating the Times Square ball drop but instead dropping a giant Lego Brick from 22 feet in the air. Grammy nominated artists and special celebrity guests will be on hand to lead the countdown. After the ball drop, there will be fireworks to celebrate the New Year. Families can then head back to enjoy all the fun of the Legoland Hotel! 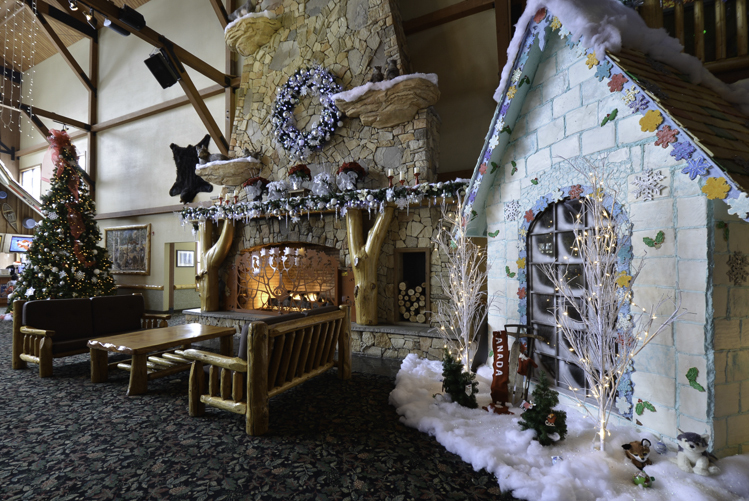 Great Wolf Lodge is known for its New Year’s Eve parties and there is a reason for that. 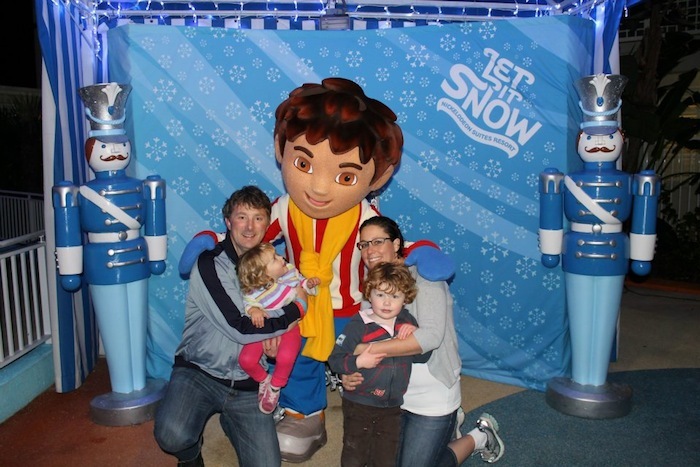 Each location throws a family friendly bash making families feel like the ultimate VIPs for one evening a year. 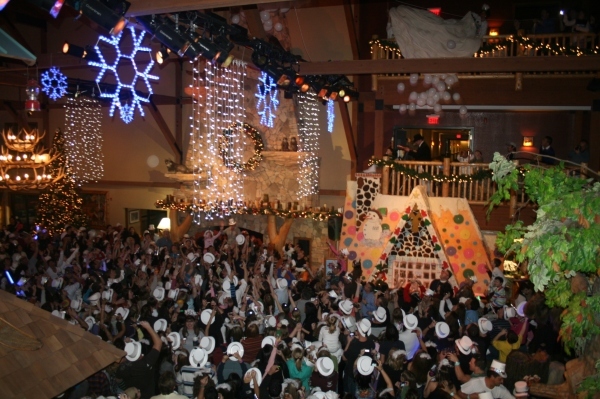 At Great Wolf Lodge Niagara Falls, the party is enormous. The design of the event is for families to spend the evening together. There are dance parties and two balloon drops so younger “pups” can head to bed and not have to wait until midnight. Parents are offered complimentary champagne at midnight while kids are given New Year’s props from tiaras and hats to every type of party supply needed to make it a festive night. Families are even given swag bags with Great Wolf Lodge goodies as well as new product samples from several companies. Make sure to grab a tiara for when Elsa stops by to sing and dance with the kids before the nightly story time. The hotel even hosts a fireworks display on site. On New Year’s Eve, there are several party and dinner options. I suggest not skipping out on the Grand Buffet. Great Wolf Lodge Niagara Falls hosts an all you can eat buffet featuring food from coast to coast. If Italian is more your thing, there is an authentic Italian dinner festival on site and Wiley the Wolf is known to hang out with kids at this party. After you eat, and wait a half hour before swimming, the ultimate in Great World Lodge fun is the New Year’s Eve Luau Pool Party. Starting at 9:30 pm and staying open until 12:30 am, its the only party that keeps the water park open after 9:00pm all year long. There are themed appetizers and complimentary non alcoholic beverages as well as a cash bar available. Kids will love the exclusive pool party with games, limbo contests, hula hoop contests, live hula dancers and the midnight beach ball drop! 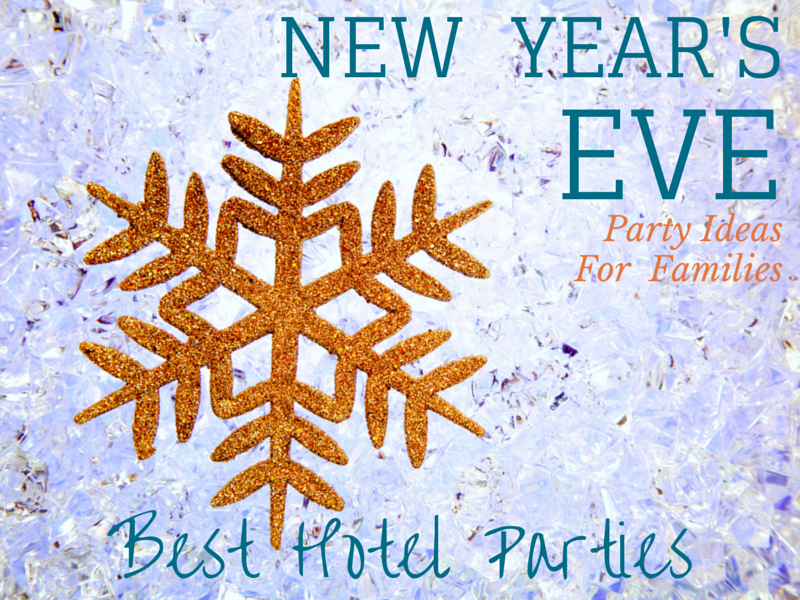 What do you think of these hotel New Year’s Eve party ideas for families? Whatever you get up to this New Year’s, we wish you and your family the very best in 2015! How cute! I think all of these places (especially Legoland) would create great memories for children!